Outdoor spaces will always look magnificent if all elements and installations are properly maintained. Unavoidable damages to the structures, the normal wear and tear on surfaces, and the uncontrolled growth of plants are just some of the factors that may contribute to the need for regular cleaning, repair, or restoration jobs. Whether these are caused by frequent use or natural elements, Outdoor Escapes can provide you with the necessary lawn and landscape maintenance services. We make sure that your outdoors is properly maintained so that it will be a safer and more pleasant place to be at. The lawn covers most of the ground outdoors, which is why it is important to keep it looking green and healthy. 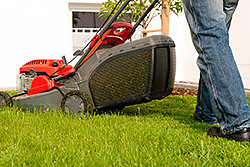 At Outdoor Escapes, we provide expert mowing and trimming services to make sure that your grass are kept short and manageable. Well-trimmed grass prevents pests from occupying your lawn while making the ground soft enough for play time and other recreational activities. If there are certain patches of withered or damaged grass, we can easily repair those for you. We start by clearing the area and installing the same kind of grass that the rest of your lawn has. 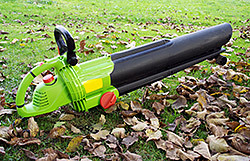 You can also ask us to perform other lawn maintenance services for your property. Plants. Grass, shrubs, trees, and flowering plants bring life to any landscape, which is why keeping them healthy is very important. We offer trimming, weeding, and pruning services to keep all your softscape elements looking great. We can also apply mulches and fertilizers to keep them lush and healthy. Hardscape. Driveways, pathways, and decks are just some of the areas in your landscape that need regular maintenance. They need to be cleaned and sealed to prevent or remove mold, mildew, grime and physical damages, such as breaks, gaps, and cracks. Water features. We have cleaning and repair services meant specifically for water features like ponds, swimming pools, and fountains. Drainage and sprinkler systems. These systems play important roles in your landscape so they must be in tip-top condition all the time. At Outdoor Escapes, we maintain and repair drainages, sprinklers, and other fixtures in your irrigation system to ensure that they’re 100 percent functional at all times. Outdoor lighting. Need help with your outdoor lights? Our team would gladly fix damaged or busted electrical fixtures to keep your outdoors well-illuminated and safe to be at. 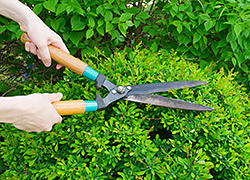 Outdoor Escapes offers comprehensive lawn and landscape maintenance services so you won’t have to look elsewhere. We also provide customized maintenance program to meet the needs of our residential and commercial clients. As a one-stop shop for all the services you need, we help you save time, money, and energy for a truly pleasant experience. We cater to almost any type of lawn and landscape. Whether you are from Blue Springs, Independence, Raymore, or any area within Missouri and Kansas, or if you are from Leadwood and Overland Park in Kansas, you can avail our affordable lawn and landscape maintenance services. If you have more questions on our offered services, call us today.